A purported picture of the Mazda Hazumi concept has surfaced online, ahead of its debut at the Geneva Motor Show. 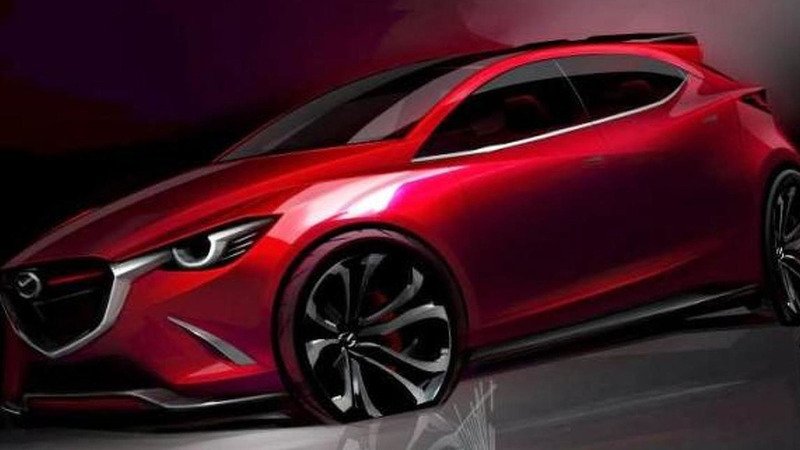 A purported picture of the Mazda Hazumi concept has surfaced online. Set to be unveiled at the Geneva Motor Show, the Hazumi has a striking exterior with a prominent grille that is flanked by LED-infused headlights. The concept also has front spoiler, a stylish greenhouse and massive alloy wheels. Other highlights include a black roof, a tailgate-mounted spoiler and aerodynamic side skirts. Little else is known about the model but it previews the next-generation Mazda2. That particular car will target female buyers and spawn a Toyota variant that will go into production in the summer of 2015.